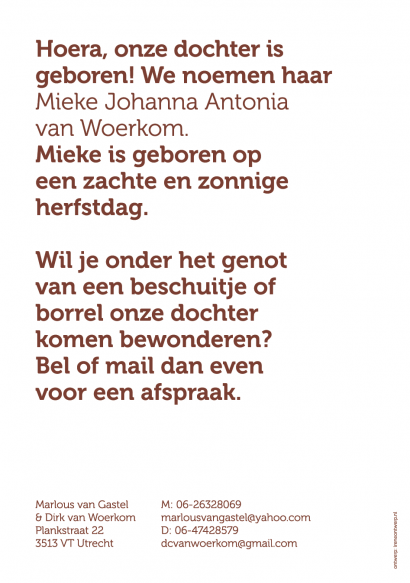 A unique child deserves a unique birth announcement. 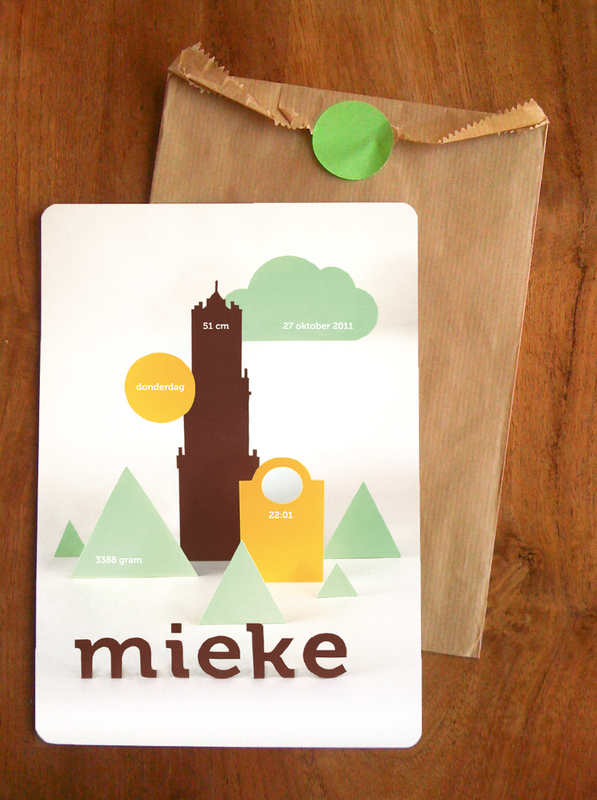 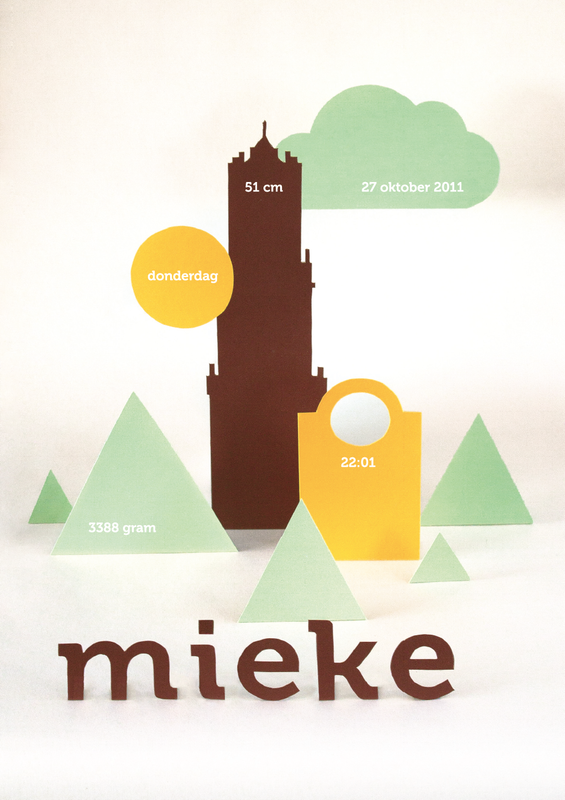 For Mieke I created a landscape from paper, where the elements in the landscape tell something about her. I photographed the paper landscape which was then printed on a card with rounded corners.